Record breaking producer at Glenbrook. Her herd tests for 2005-06. 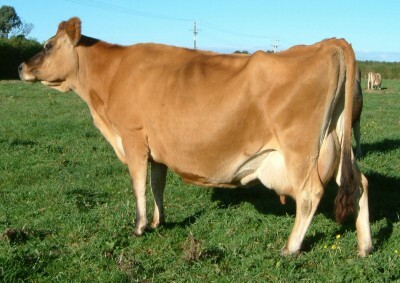 Calved 5/8/05 and again 30/7/06. IMPERIAL RECORDS OVER 1000 LB FAT in 305 days. Green names milked at GRANTHAM stud. Coolest finished lactation at LEITHLEA. 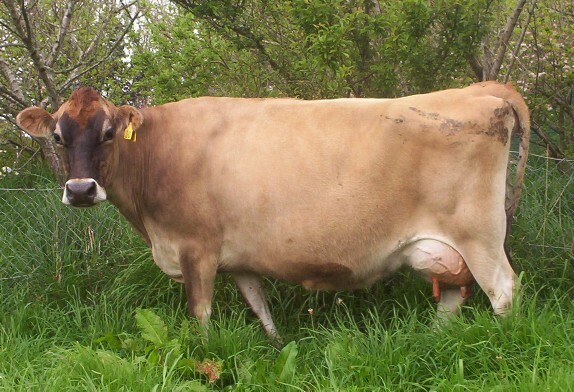 Elm started lactation at Whitimore. Note: Medal is owned by K. J. Locke, MOORGLEN Jersey Stud.